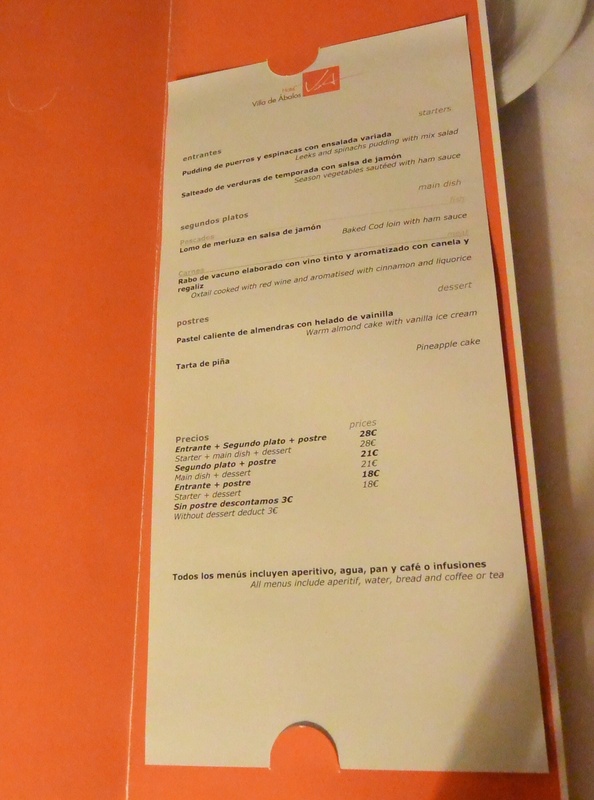 Menu for supper at Hotel Villa de Ábalos. 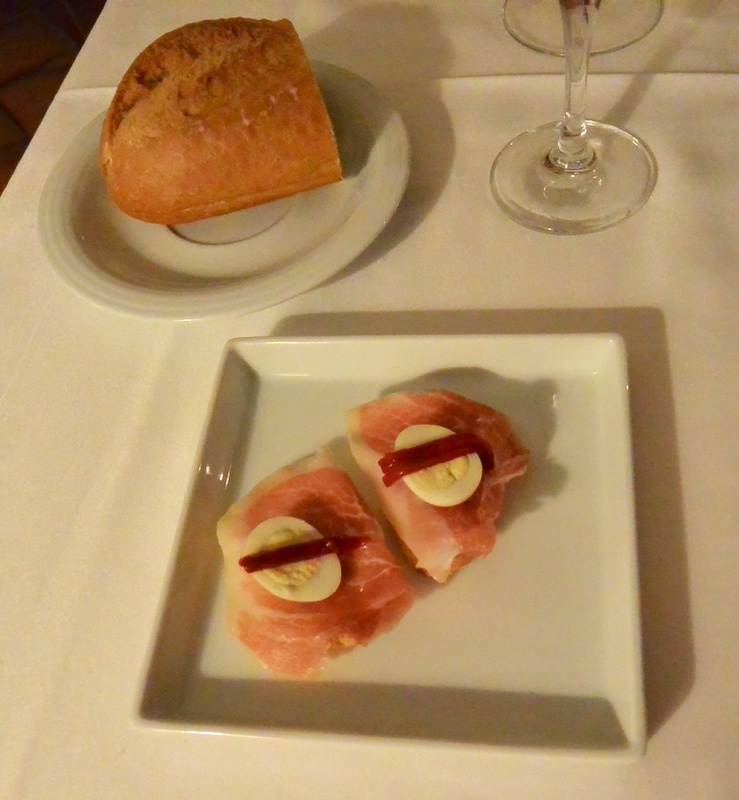 A little something to start the meal at Hotel Villa de Ábalos, Spain. 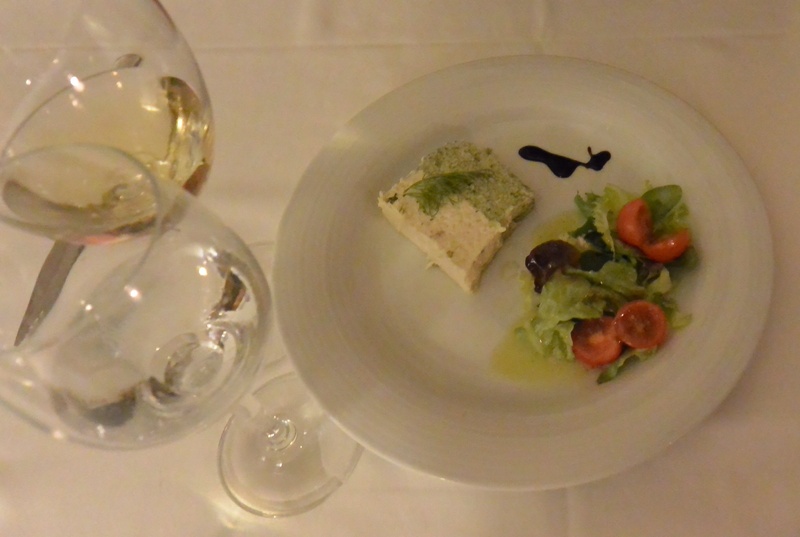 Leek and spinach terrine appetizer at Hotel Villa de Ábalos, Spain. 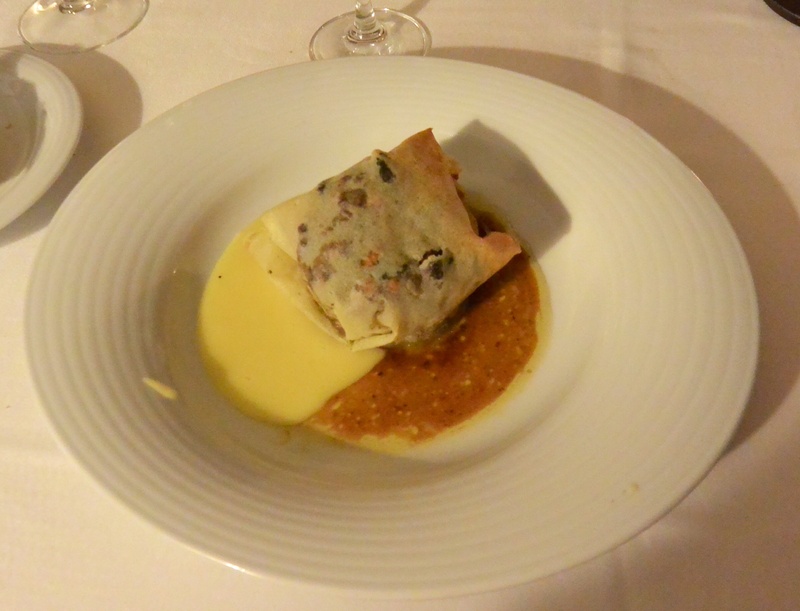 Oxtail presented inside a dumpling for supper at Hotel Villa de Ábalos. 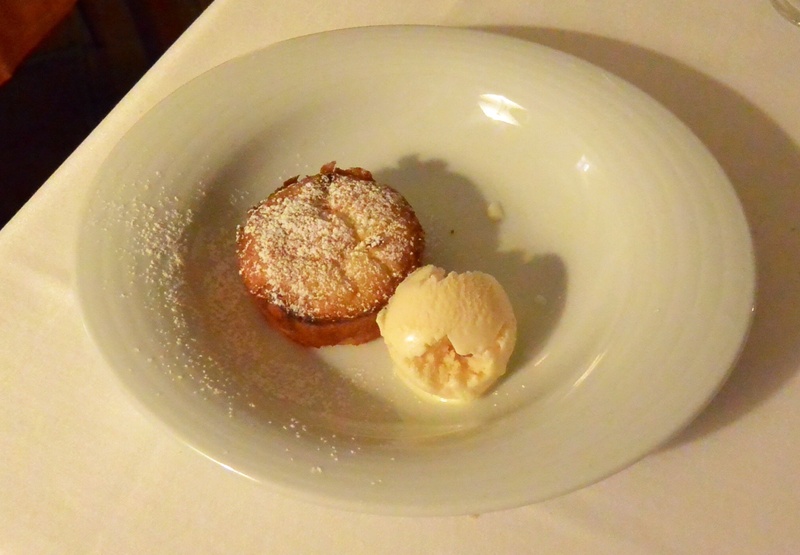 Warm almond cake with vanilla ice-cream at Hotel Villa de Ábalos. 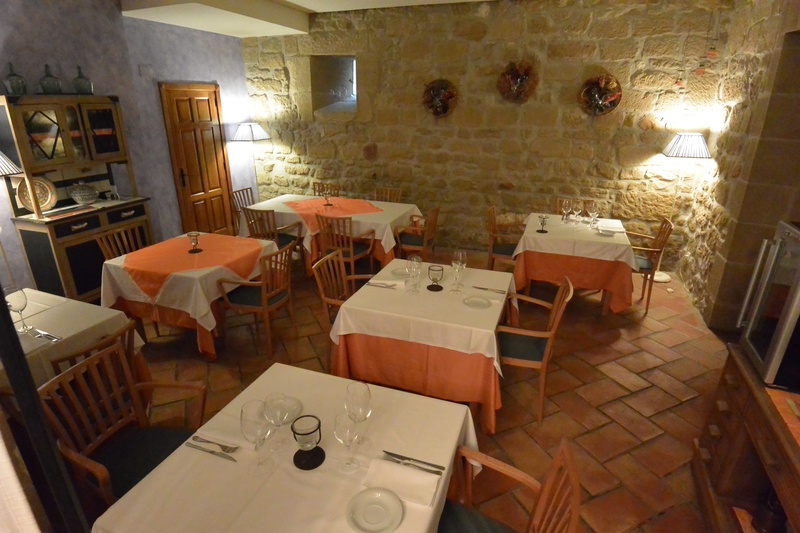 Dining room at Hotel Villa de Ábalos, Spain. 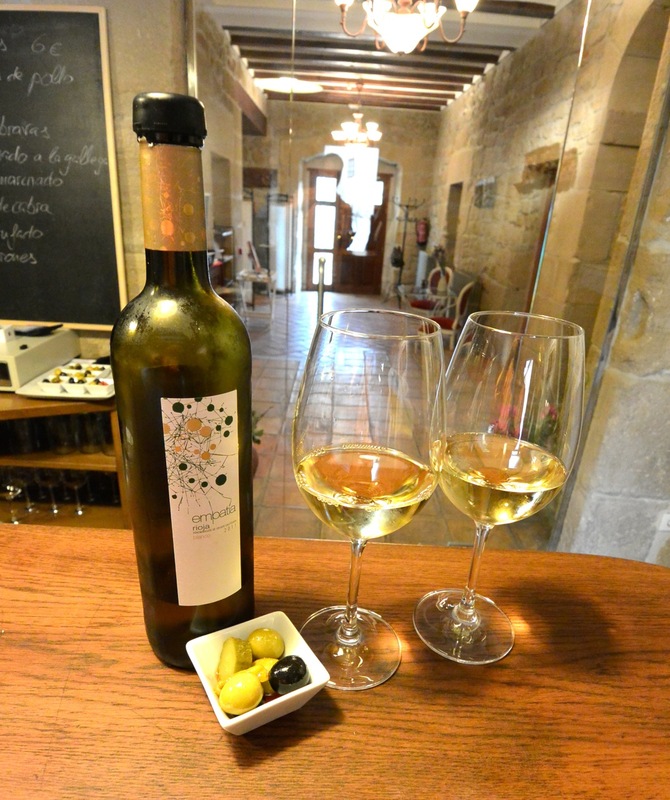 Preferred wine at Hotel Villa de Ábalos. When traveling, be sure to enjoy the local cuisine as much as possible.